This George Dahl-designed building has it all. Their “porte-cochere” is unique. 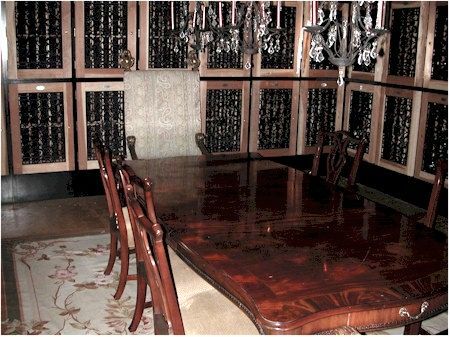 Very cool wine storage room has a dining table and used to be the vault of the former bank. 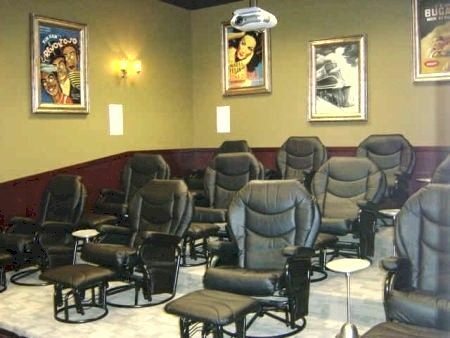 Media room can be reserved for private parties. Large units and good values. My buyers love walking to the Arts District. Each unit has deeded storage on same floor. Dog run, 12-seat theater, temperature-controlled wine cellar with individual 48-bottle lockers. Sauna. Three high-speed elevators. Moroccan party room with billiard table and caterer’s kitchen. Access to downtown tunnel system through lobby. View of 1505 and garage looking east down Elm St.
° Move in ready home w guest parking & entertainment at your fingertips.Walk to shopping, restaurants, & Belo Park.The property has many lush amenities for homeowners to enjoy.A pool,a dog run,multiple cabanas,BBQ grills,a wine cellar,a movie theater,a library,a private massage room, & dry sauna.The HoA common areas cover 24hr valet, 24hr concierge security, insurance, utilities,maid service,dedicated parking, bldg upkeep, plant services, Dedicated on site 24hr support in addition to funding of a RESERVE fund well enough to keep the HoA solvent. 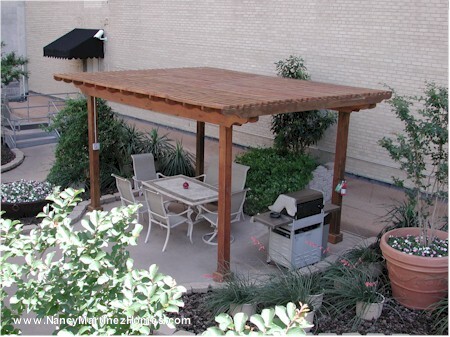 ° Additional Info: HOA dues are $867 monthly, 1 covered parking space(s), 1 fireplace(s), Dallas ISD. ° Listing Agent: Dean Valenzuela, CENTURY 21 Judge Fite Co.
° Additional Info: HOA dues are $1,093 monthly, 1 covered parking space(s), 2 fireplace(s), Dallas ISD. 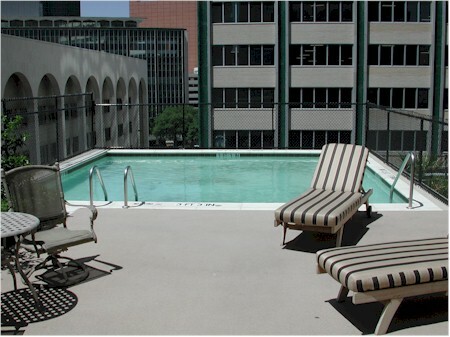 ° Light and bright downtown corner unit perched atop the 15th floor with beautiful views of Dallas. Open living space with limestone floors and fireplace. Large kitchen includes SS appliances. Split bedrooms, each with spacious baths and walk-in closets. Luxury Boutique high-rise in the heart of Main Street District. 24 hr. Concierge & Valet for Residents & guests. 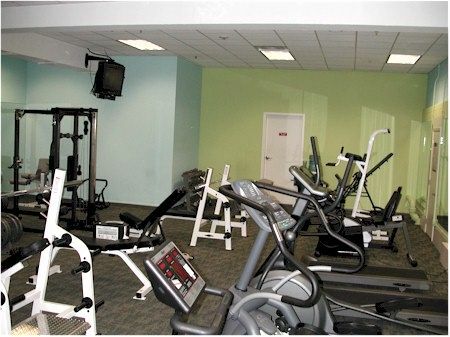 Amenities include pool, grills, fenced dog walk area, fitness center, sauna, theater & library. ° Additional Info: HOA dues are $1,271 monthly, 2 covered parking space(s), 1 fireplace(s), Dallas ISD. ° Spacious 2-Split Bedroom, 2.5 Bath Condo in Boutique Hi-Rise in Downtown Main Street District. Hardwood Floors in Living Areas. Stainless Steel appliances. Tankless Water Heater, Washer-Dryer in Laundry Room. Building amenities-24 hr Concierge & Valet Parking (for Residents and Guests), Fitness Center, 12 Seat Theater, Wine Cellar, Massage Room, Sauna, Game-Club Room & Kitchen, Intimate Library... Walk to Restaurants, CVS, Taverns, Shopping at Neiman Marcus, Forty Five Ten-Traffic. Nearby Arts District, Perot Museum, Parks. 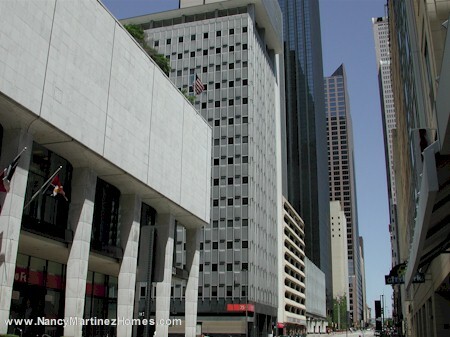 Plus numerous hotels for overnight guests: Joule, Adolphus, Westin and more.DART Akard Station to Airports, North Park. COULD BE COMBINED WITH #1503 TO MAKE 3,717 sf 16 WINDOW CORNER UNIT! ° Additional Info: HOA dues are $1,455 monthly, 2 covered parking space(s), 2 fireplace(s), Dallas ISD. ° SELLER HAS APPROVAL TO SPLIT INTO 2 UNITS (see picture #20) PENDING FILING AND APPROVAL OF BUYER OR FULL FLOOR PENTHOUSE SHELL IN HEART OF DOWNTOWN DALLAS SKYLINE. LUXURY BOUTIQUE HI-RISE GEORGE DAHL BUILDING HAS 24HR VALET-CONCIERGE,FITNESS-MULTIPLE EXPOSURES FROM 3 SIDES OF DOWNTOWN,VICTORY,AA CENTER,HOTELS-JOULE,ADOLPHUS,WESTIN,VIEW CALATRAVA BRIDGES.WALK TO UPSCALE RESTAURANTS, CLUBS,TAVERNS, ARTS DISTRICT,CVS,GROCERY STORE. AKARD DART STATION ACROSS THE STREET FOR 50 MINUTE RIDE TO DFW OR 30 MINUTES TO LOVE FIELD. READY FOR PERSONAL TASTE FINISH OUT.ONE OF A KIND LIFETIME OPPORTUNITY! OWNER SAYS SELL!!! ° Additional Info: 6 covered parking space(s), Dallas ISD. The following units are listed for lease in 1505 Elm as of April 13, 2019. ** Note that landlords may have more restrictive limits on pets than indicated above.